Sober Dating in London has never been easier, enjoy the suggestions below! Dating has definitely changed – and the good news is that sober dating has never been more popular and accessible. I am Dating Coach & Ted Speaker Hayley Quinn and after a decade of helping Londoners date I want to now help you to find the best sober dates in London. Luckily Londoners are getting increasingly switched on to the power of sober dates. Long gone are nights spent at cocktail bars and with the rise of healthy lifestyle choices like sobriety and veganism, the number of options for sober dates in the capital is booming. As a dating coach I also think that whether you are sober or not, going on dates without Dutch courage is actually a great idea. With the rise of dating apps sometimes it can be harder to tell who you actually connect with: and whilst it maybe tempting to mask incompatibility and anxiety with alcohol it doesn’t often lead to smart decisions about who to spend your precious time with. So I have put together for you 10 great sober date ideas for dates to bond over in London. 1. If you miss romantic meals with a glass of bubbly then numerous restaurants now offer vegan and non-alcoholic options. Leading the charge is Redemption book a table and enjoy their amazing desserts, non-alcoholic cava and relaxed atmosphere. 2. Speaking of desserts during the precious (and notoriously short) summer time window in London grab an ice cream! Meeting for ice cream is suitably indulgent for a date and gives you the chance to check out some of London’s new trendy ice cream bars – Chin Chin Ice Cream. Increase the flirtation by splitting a sundae or grab cones and go for a walk through London’s impressive sites for a laid back sober date. 3. And Londoners love a laid-back date! Particularly when you’ve met a date online you may not want to invest more than an hour or two into a date before you’ve had a chance to discover if you get on well. That’s why coffee dates are the capitals most popular date. Choose wisely though as going to a chain Starbucks may not be that inspiring. Instead communicate your style and originality with one of London’s many artisan coffee shops. I particularly like the Grind Chain for its Instagram friendly interiors and cool coffee offerings. 4. If a chilled coffee date isn’t your thing and you want a more impressive option then it has to be the quintessential afternoon tea. Whether you go to one of London’s oldest institutions like The Dorchester or a more modern fun variation – Brigit’s Bakery (see this bus tour plus tea!). I would recommend this as a second or third date when you have already broken the ice and want to really romance your date. 5. We all know that sometimes first dates can bring a share of awkwardness as you try to find common ground – that’s why dates where you can walk around somewhere and share talking points make so much sense. A thoughtful gesture could be to work out if your date is interested in history, art, or literature and choose one of London’s many amazing museums for a date. My personal favorite is the Natural History Museum (in another life where I wasn’t a dating expert I would have loved to be paleontologist!). Techy guys may love the science museum, and if they work in fashion then the V&A is a great choice. Just try to avoid the long queues school holidays, and weekends; instead go for the more adult friendly option of a late night opening. 6. London is blessed with some great weekend sights and activities though. A walk along the Thames and the London skyline is hard to beat for its romance. Try planning a ‘walk and talk’ style date where you can take in a daytime stroll alongside stopping off to grab a bite to eat in one of London’s iconic markets. Borough Market is great for sampling food or if you’re in East London Broadway Market on a Saturday is equally tasty. For West London sober dates, the antique market at Portobello Road is fantastic for quirky market shopping and conversation starters. 7. If you’re worried about wasting time on a date that you don’t know yet then a great idea is to combine the date with an activity that you already love – this is also a great test of compatibility. For yoga fans try a pop up yoga stop like Hotpot Yoga. Also if your date agrees to get sweaty in their lycra with you at a fitness activity that must mean that they’re a keeper. 8. Another fantastic summer time activity date is to rent some Boris bikes and go for a bike ride around the park. To really impress your date think ahead with a cool box and pack a picnic: a quick pit stop to Marks and Spencers for berries, sparkling water, and smoothies will always be appreciated. A longer date also allows you more chance to connect and take in some of the beautiful London scenery: just make sure you have a wet weather back up plan. 9. Whether it’s yoga or cycling a great indicator that your date is the open minded, agreeable person you want to date is their willingness to say yes to a curve ball date. Arguably the most important ingredient for a relationship is both people turning up being willing to form that relationship: so if you find yourself chasing someone up for their availability it may not be worthwhile. Instead look out for people who are willing to step outside of their comfort zones – a date that is fun and tactile like Swingers – The Crazy Golf Club can be a great start. Sober dating in London has never been easier so I hope you have enjoyed these suggestions. In a time when there seems to be so many people out there, but harder to connect than ever, it makes more sense than ever to incorporate your dates into your broader lifestyle. If for you part of that choice is being sober then you also stand the chance to connect with people more authentically. Choose dates that ask the other person to invest their effort in creating time to meet you, and where you share an activity that you can really bond over. Then even if this one particular date doesn’t have ‘the spark’ that you’re looking for, you can enjoy the date for what it is. And I’m sure you don’t need a dating expert to tell you that it’s when you’re thoroughly enjoying spending time by yourself that someone fantastic turns up. 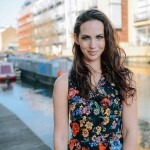 Hayley Quinn is an internationally recognized dating expert, TEDx speaker, London dating coach, and start-up Founder. She teaches a unique and progressive approach to love and dating for men and women.